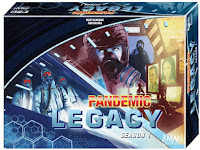 Our 3rd podcast is a mini review of Pandemic Legacy. No Spoilers – we talk only about what is in the box, setup and rules of the game. We have been careful not to mention any hidden surprises or game changing events. That being said we would like to hear from anyone that has played the game so far. We are just about to start the month of April. now a days gaming is trending. mostly people love to play video games. but question is on internet which platform provide free pc games. freepcgamez is a rising a huge platorm for downloading free games for pc. While searching safe friv games for kids you will reach friv4school Games website which contains a lot of educational games. These all games are educational and fun playing while learning different new things knowledgeadventure.com games is an example.